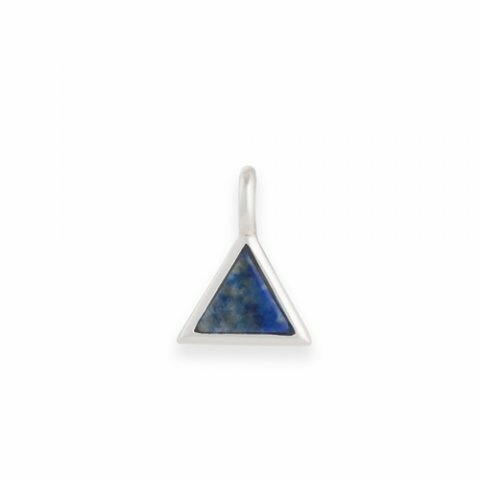 A triangle of Natural stone in a sleek silver setting will make a subtle fashion statement when strung on any of the Gemma Satin Cord Necklaces. When paired with the matching earrings, or any of our trendy Gemma pieces, you will have a casual look that is super trendy. Pendant has a drop of 11/16"